The United States Food and Drug Administration (FDA) has released another update regarding its research into the safety and contamination risks associated with the use of duodenoscopes. 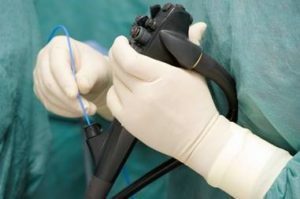 After receiving further research results, the FDA is reiterating its previous recommendations regarding the proper handling and reprocessing of duodenoscopes that it released in a Safety Communication in December 2018. 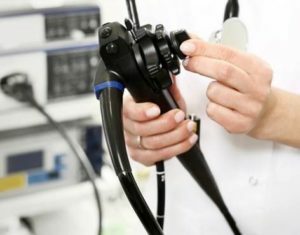 “On October 5, 2015, the FDA ordered all three manufacturers (Fujifilm Medical Systems USA, Inc, Olympus Medical Systems Corporation, Pentax of America) who make duodenoscopes sold in the U.S. to conduct postmarket surveillance studies so the FDA can better understand how duodenoscopes are reprocessed in real-world settings. As of March 2019, the manufacturers continue to collect samples for the Sampling and Culturing Study. For low to moderate concern organisms with >100 CFU, updated culturing results continue to indicate a higher-than-expected contamination rate after reprocessing, with up to 3.6% of properly collected samples testing positive. For high concern organisms, defined as organisms that are more often associated with disease, such as E. coli, and Pseudomonas aeruginosa, updated culturing results appear to show that up to 5.4% of properly collected samples test positive, which is an increase from the 3% contamination rate that was previously reported. Root cause analyses are currently underway to better understand these culturing results. Some factors that may contribute to device contamination after reprocessing include device damage and errors in reprocessing. These results remain preliminary because they are based on the collection of only a portion of the samples that the FDA has mandated be collected and tested. Each manufacturer must still submit to the FDA culturing results for the total number of samples required in each approved study plan. The numbers of samples collected and the contamination results to date, along with summary descriptions of the FDA-approved study plans, are available on the respective FDA 522 Postmarket Surveillance Studies webpage for each manufacturer: Fujifilm, Pentax, and Olympus. 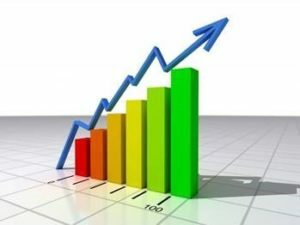 As announced in December 2018, the FDA has observed a decline in the number of medical device reports associated with patient infections after safety measures to improve reprocessing techniques were implemented, beginning in 2015. Our analysis of medical device reports associated with patient infections for duodenoscope indicates that the number of medical device reports peaked in 2015 at 250 reports and declined 62% to fewer than 100 reports per year in 2017. However, late in 2018 we received additional medical device reports of patient infections and device contamination. Our analysis of 205 medical device reports received from October 15, 2018 through March 31, 2019 includes 45 reports of patient infection, one (1) report of patient exposure, and 159 reports of device contamination. 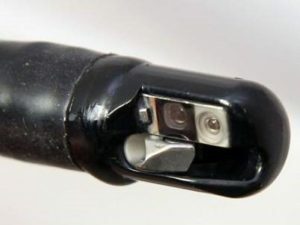 In 2018, 3 deaths were reported in the US related to duodenoscopes. These reports indicate that although the number of reports has declined, there continues to be a need for improvement of the safety of reprocessed duodenoscopes. Meticulously clean the elevator mechanism and the recesses surrounding the elevator mechanism by hand, even when using an automated endoscope reprocessor (AER). Raise and lower the elevator throughout the manual cleaning process to allow brushing and flushing of both sides. After cleaning, carefully inspect the elevator recess and repeat cleaning if any soil or debris is visible. Implement a comprehensive quality control program for reprocessing duodenoscopes. Your reprocessing program should include written procedures to monitor training and adherence to the program, and documentation of equipment tests, processes, and quality monitors used during the reprocessing procedure. Follow the duodenoscope manufacturer’s recommendations for inspection, leak testing, and maintenance of the duodenoscope. Prior to each use, closely inspect and remove from service for assessment, and repair or replace any duodenoscope that shows visible signs of damage, as recommended in the duodenoscope instruction manuals. Examples of damage may include: loose parts, protrusions or abnormal bulging from the endoscope, kinks or bends in tubing, cracks and gaps in the adhesive that seals the device’s distal cap, or other signs of wear or damage. During each reprocessing cycle, conduct leak testing and remove from service for assessment, and repair and replace any duodenoscope that shows signs of leakage. Follow the duodenoscope manufacturer’s leak testing instructions for angulating the bending section and elevator during leak testing. As recommended in the duodenoscope instruction manuals, return the duodenoscope to the duodenoscope manufacturer for inspection, servicing, and maintenance of the device at least once per year. Extra-long scopes, such as small bowel enteroscopes, can often be a challenge for endoscopy departments to track and manage. Their long bodies do not fit easily in to the standard scope storage cabinets that are typically used to store all scopes. 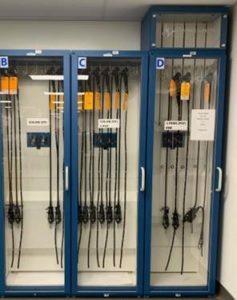 Because of this challenge, most hospitals store their extra-long scopes in standard storage cabinets by ‘snaking’ the scopes in an ‘s’ formation so that they hang without touching the bottom of the cabinet. While there is no standardized guidance around this practice, The Joint Commission (TJC) and their surveyors are known to point this out as a risk to hospitals that store extra-long scopes like this. The rationale seems to be that scopes, when hung in a snake-like fashion with ‘s’ curves in the body of the scope, cannot properly drain any moisture that remains in the scopes after reprocessing. With TJC frowning upon facilities that store their extra-long scopes like this, what options can hospitals use to meet TJC recommendations? Mobile Aspects’ iRIScope scope tracking system offers an ‘XL’ model of their scope storage cabinet that is purpose-built for storing extra-long scopes. These storage cabinets include an ergonomic elevator mechanism that makes it easy for people of all heights to hang and retrieve extra-long scopes from the cabinets. Because the extra-long scopes are stored without any ‘s’ curves, any moisture can drain properly and TJC recommendations are satisfied. iRIScope also comes standard with many other features that improves tracking of extra-long scopes. The smart cabinets, outfitted with RFID technology, automatically gather all transaction data regarding scope usage and reprocessing. With this data, the system uses artificial intelligence to alert users when scopes are hung in clean storage without first going through all of the required reprocessing steps. iRIScope can also alert users about scopes that have been missing for an extended period and can alert users when scopes have passed their hang-time limits and need to be reprocessed. A customer that recently went through their TJC inspection noted that their surveyor called iRIScope “the best scope tracking system they have seen”. The surveyor noted that the system handled the extra-long scopes with ease and effortlessly kept track of all scope usage records, including associating each scope to the proper patient. Managers of Endoscopy and PeriOperative departments often see a constant stream of endoscopes being sent out for repair and loaner scopes being sent back to them for “temporary” use. However, it is all too common for these loaner scopes to become a permanent part of their scope fleet – they are hard to track and without proper documentation it’s hard to know when they’re due to be sent back to the vendor. In and of itself, there’s nothing wrong with using loaner scopes. However, they can be the source of unnecessary and frequent charges from your vendors. Loaner scopes are intended to be used for a fixed, short duration of time. When taking in loaner scopes, however, hospitals are signing up for several risks. First, loaner scopes that are held too long can result in rental fees for each month that a loaner scope is used beyond the agreed to period. With so many scopes going in and out of a facility, it’s easy to take your eye off of the contracted time period and get hit with unexpected fees. Second, any costs related to damages to loaner scopes are the sole responsibility of the hospital. Because of this, it’s best to use loaner scopes only when absolutely required, and to make sure they don’t get overused to avoid unnecessary repair charges. Lastly, loaner scopes can, and quite often do, get lost. It may be a temporary or permanent loss of the scopes, but either way if the loaner scope isn’t found when the vendor asks for it, you may get hit with an unexpected bill. With all of these risks from loaner scope usage, hospitals need a system to keep track of their inventory. Academic medical centers and large health systems especially require a solution due to the sheer number of loaner scopes they have at any given time. Thankfully, a newly released feature from Mobile Aspects helps hospitals manage their loaner scope inventory. Their scope tracking software, iRIScope, helps manage the tracking and usage of an entire endoscope inventory, and a new module has been released that focuses on loaner scopes. When loaner scopes reach the end of their contracted term, iRIScope can send proactive alerts to notify techs that loaner scopes need to be returned to the vendor. iRIScope tracks the usage levels of loaner scopes so you can make sure you keep loaner scope usage to a minimal level when possible. iRIScope also helps track down missing loaner scopes by recording a real-time chain of custody of scopes so missing scopes can be identified and tracked down immediately. iRIScope helps to mitigate all of the risks associated with loaner scopes as part of its best in class scope tracking capabilities. iRIScope will also help manage all of the usage, reprocessing and repair details of your entire scope inventory, and will offer up actionable analytics on how to improve your management of your expensive scopes. Built in patient safety features also minimize the risk from adverse health events caused by inadequately reprocessed scopes. 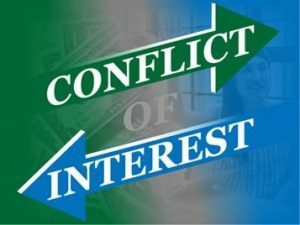 The government is continuing its probe into whether The Joint Commission (TJC) and other healthcare accreditation firms that also have consulting arms are too conflicted to provide quality accreditations. “The Trump administration is debating whether to continue approving accreditation groups that also operate consulting arms, which charge hospitals for their help to gain accreditation. CMS has also proposed rule changes that would prevent such financial arrangements in the accreditation market. 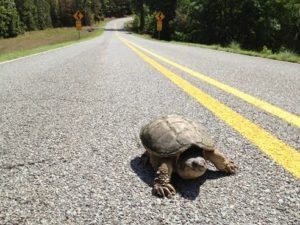 The agency has received 120 public comments on the proposal over the last few months. The Joint Commission told CMS it uses a firewall between its accreditation services and a consulting subsidiary. “A firewall has been in place since 1987 and has been enhanced over the years to remain up to date with the structure and operations of the organizations,” the accrediting body wrote in its comment to CMS. Other accrediting organizations, like the nonprofit URAC, are encouraging CMS to address financial arrangements between accreditors and healthcare facilities. One possible result of this probe may be that hospital inspection reports will be made public in order to give additional information to consumers regarding their choice of healthcare providers. Is your hospital ready for your inspection reports to be made public? To prepare, hospitals have to make sure that they are following all of their detailed processes all of the time. Any breakdown in your processes would be made public via an inspection report, putting your hospital’s reputation and finances at risk. Consider automation tools that help track the processes that The Joint Commission and other accreditation agencies focus on during their inspections. Systems such as iRIScope and iRISecure have been developed to ensure that processes and protocols are being followed since your managers can’t watch over every step of the way. As expensive medical instruments that experience a lot of wear and tear, flexible endoscopes can cost a hospital a lot of money when going through avoidable repairs. Repairing flexible endoscopes often requires expensive maintenance from third-party organizations, downtime of services due to unusable scopes and procurement of expensive loaner scopes to handle the required workload. Spending time and effort to avoid these costs is an important part of running an efficient and profitable endoscopy operation. “When a scope goes out of commission for repairs, it can be costly. Not only can repairs be expensive, but downtime during the repair process can impact departmental efficiency by causing scheduling delays or staff overtime for reprocessing scopes. Ultimately, satisfaction suffers—for patients, staff and physicians alike. In order to reduce downtime with your endoscopes, you must first have access to data about your endoscope repair history and who is handling and damaging your scopes. Systems such as iRIScope from Mobile Aspects track all transactions in the endoscope usage lifecycle including all incidences of repair. With this data, you can closely examine the causes of all of your endoscope repairs and trace back damages to individuals within the organization. You will be able to identify techs and physicians who need to be re-trained on how to properly handle scopes in a way that minimizes damage to delicate parts like the distal tip or the channels. 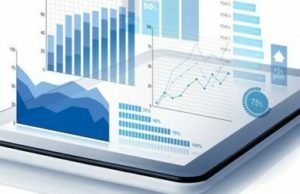 You will even be able to use the data to understand which scopes are being used most often and those that are being underutilized. With this data, you can plan to balance the load on each of your scopes so that the same few scopes aren’t being used over and over again, reducing the need for costly repairs. Having access to the data and using it reduce the incidence of endoscope repairs can mean a much more efficient and profitable practice.